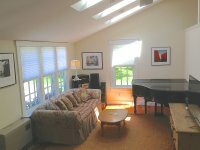 Come Explore the Island of Martha's Vineyard in your own Private Home! Found just seven miles off of the Massachusetts coastline, Martha's Vineyard is a world apart. This picturesque New England Island offers a holiday ambiance unlike any other, with captains' houses and lighthouses, white picket fences, ice-cream shops, authentic fishing villages, markets and of course, a wonderful alpaca farm! Explore the diversity of our six Island towns, take long walks along our pristine shores, parks and rolling farmland or step back in time for a more leisurely pace of rest and relaxation, in the comforts of your own private home. Each season offers something special. We invite you to come and experience for yourselves, all that the Island has to offer. 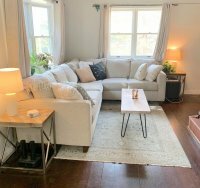 We hope that you will browse the homes and cottages that Island Alpaca represents and consider one of them to be your "home away from home" during your next visit to Martha's Vineyard. Each of the homes are available for rent off-season, at very agreeable rates. Scroll down to see the homes that we represent. 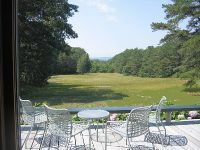 Search Martha's Vineyard Homes for Sale by clicking here. $2,300-$5,900/wk. Sleeps 8. Fully renovated quintessential Vineyard Summer Vacation home. This home is owned and managed by Martha's Vineyard Sales & Rentals. $1350-$2,200/week. Sleeps 5+. West Chop area. Newly Renovated, sunny and bright, with a short stroll or roll to town location. Access to tennis, bike paths and Mink Meadows Golf Club. 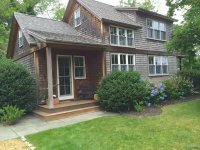 This home is owned and managed by Martha's Vineyard Sales & Rentals. Owner has interest. Step back in time to the simple elegance and expanse of this waterfront 7 bedroom, 3 bath home, sleeping 11 persons. Stunning panoramic views (see image left), tennis, shared private beach and dock. 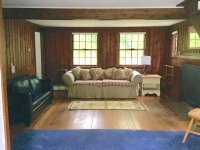 Charming Oak Bluffs 2 Bedroom, 2 Bath, Sleeps 6! Newly renovated to include a new kitchen, and private sleeping Loft! Centrally located, this retreat-style home with air conditioning will welcome you with comfort and relaxation! This quintessential Vineyard Cottage has a lovey private beach and shared dock, just a few hundred feet from the home. An ideal setting for the ultimate island get-away! Sleeps 8. Architect-designed home filled with light and glass. Three full floors of living! Expansive yard with rural feel. Enjoy the privacy and proximity of this bright, airy water view home in the highly sought-after. Mink Meadows, West Chop area neighborhood. 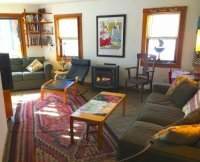 This Seasonal 2 bedroom rental is available from May 1 through October 1. Sleeps 3 persons. Lovely private area, not far from Lake Tashmoo and Town. Large Private Deck.